We like the Sheraton Ft. Worth Hotel & Spa. However, more than the Sheraton, we like a great rate. In the past we've used different hotel bidding sites, but after numerous issues, we now stick to Priceline. A reader also recommended, the Lockhart Gables Bed & Breakfast in Ft. Worth. All visits to Ft. Worth should require a BBQ stop and we really enjoyed Railhead Smokehouse. 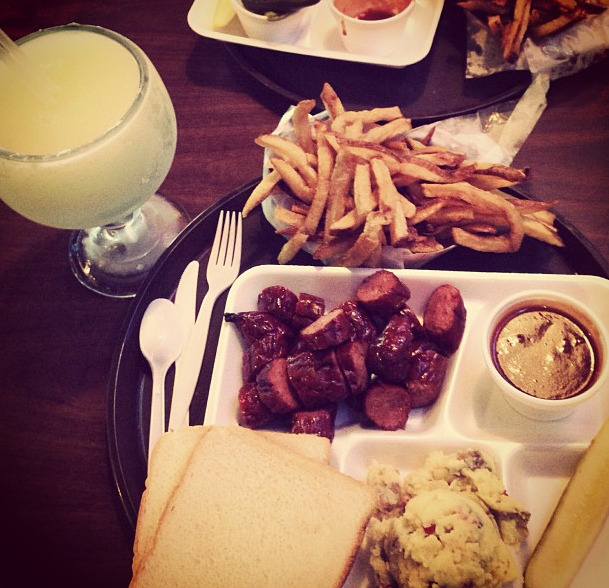 Most BBQ places we frequent don't serve alcohol and it was nice to enjoy a beer, or a margarita in my case! Friends also recommended Off the Bone BBQ, which also has a location in Dallas that we LOVE! For Mexican Food, we love Joe T. Garcias. 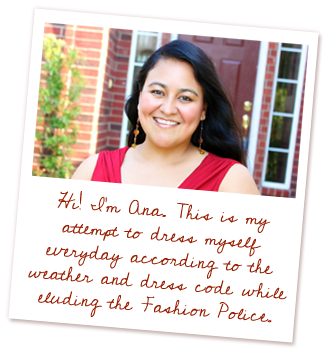 They have amazing food, including their staple fajitas and my favorite, their tamale dinner. But make sure you carry cash, because they don't take credit cards and the ATM charges a $6 transaction fee. A steakhouse visit is another must and while Reata Restaurant is often lauded as one of the best steakhouses in Ft. Worth, our friends recommend Cattlemen's Steakhouse in the Stockyards for a better value. Finally, if you are only in town for the weekend, you must try breakfast at Cowtown Diner before you leave. They are quite proud of their signature dish, Texas Chili Benedict. 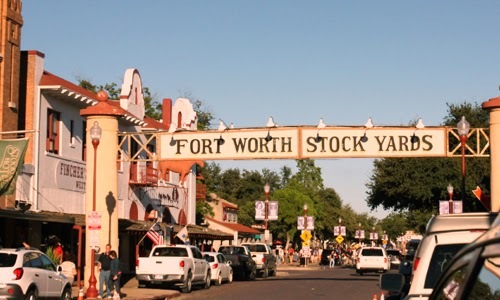 We had exactly one weekend and we packed in a country music concert at the Longhorn Saloon as well as visits to the Historic Ft. Worth Stockyards and the Ft. Worth Water Gardens. 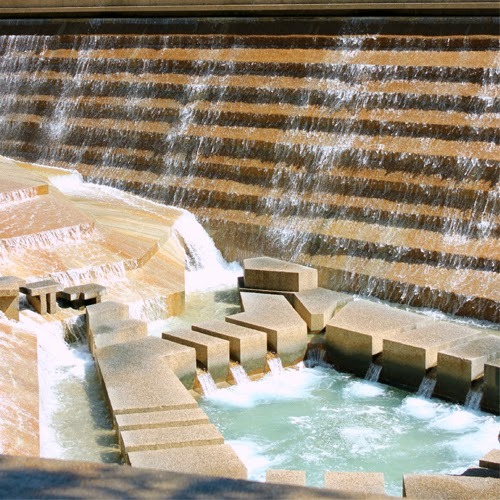 With the exception of the concert at the Longhorn Saloon, both the Stockyards and the Ft. Worth Water Gardens are free of any cost except for souvenirs or food and drinks. And there are plenty of watering holes throughout the Stockyards. We liked Whiskey Girl Saloon. We started at Sundance Square before friends called us back out to the Stockyards for the Jackson Taylor Band performance. Initially, we thought the performance was at Billy Bob's Texas, but fortunately, we've been before and didn't miss out. Everyone should check it out at least once! Other options include the Ft. Worth Zoo and The Ft. Worth Botanic Garden. Art lovers will enjoy The National Cowgirl Museum and Hall of Fame as well as the Kimbell Art Museum. Did I miss any of your favorites? Let me know!